Iron Tanks intended to do for BuildCraft tanks what Iron Chests did for vanilla chests. 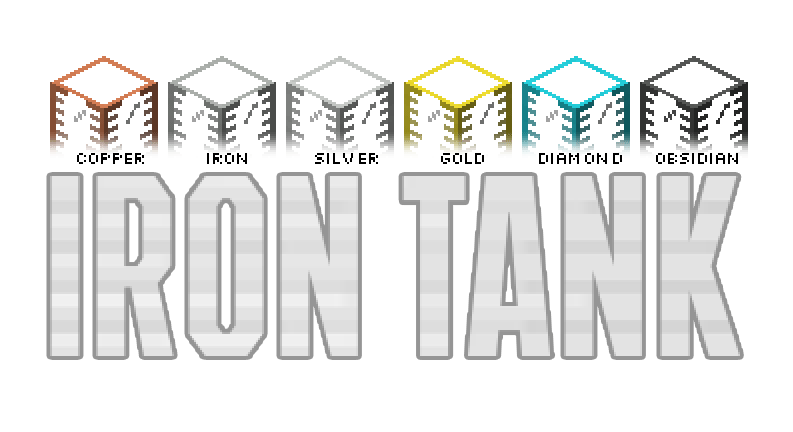 The Iron Tanks mod introduces a variety of new tanks to satisfy all of your liquid storage needs. Those tanks are fully compatible with other inventory-modifying mechanics like the pipes from Buildcraft or the tubes and machines from the ThermalDynamics mod. Note that the Iron Tanks mod requires BuildCraft and uses the Forge ore dictionary. This means that the Copper Tank and the Silver Tank can only be crafted if you have one or several mods installed that add the corresponding ores to the game. Industrial Craft, Forestry and ThermalDynamics all add copper ore to the game; ThermalDynamics also adds silver ore.